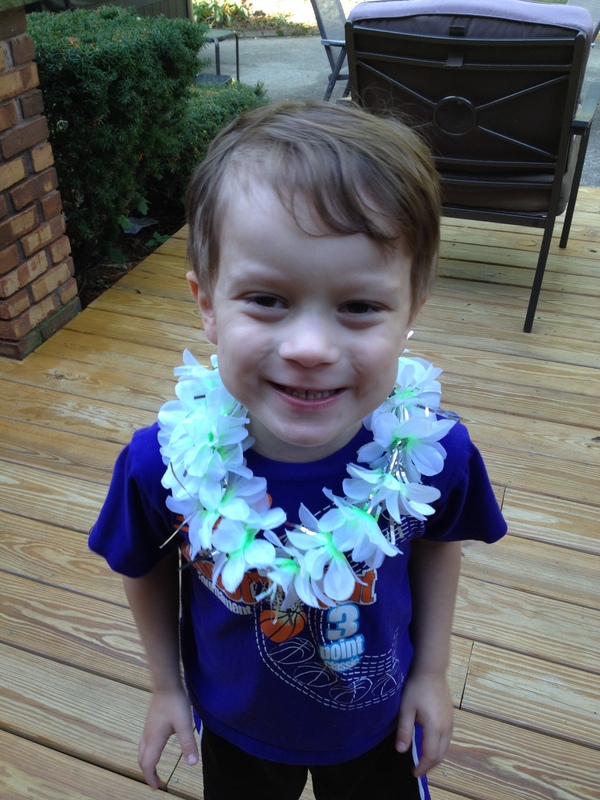 Gage has always had a soft spot for Hawaii, who doesn’t? We started by reading through the book and then I chose some 5-10 minute activities over the next week. My goal is really just two activities for each of the three days and then a book or two. He traced the state map and marked the capital. 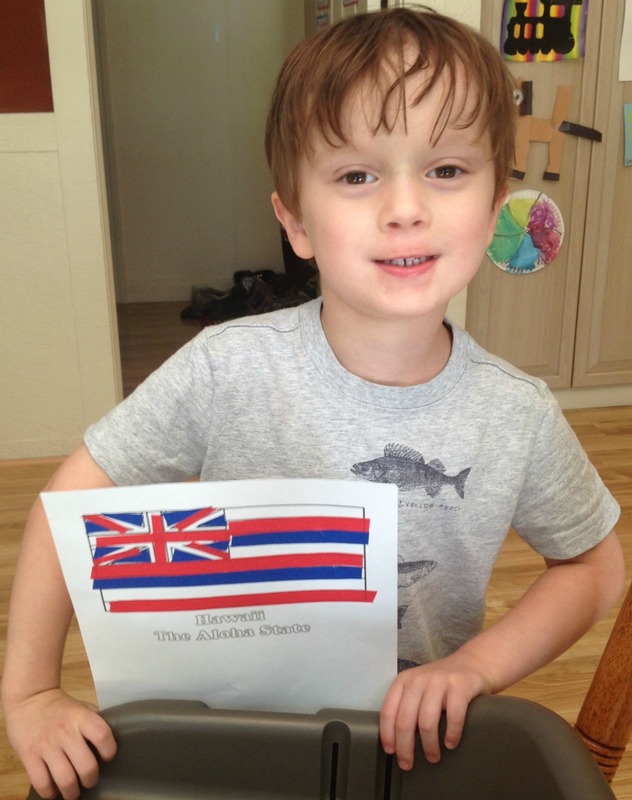 He made this very cool state flag out of colored tape. I did the rough cutting ahead of time and then he had to use the picture from the book to recreate it. 3. 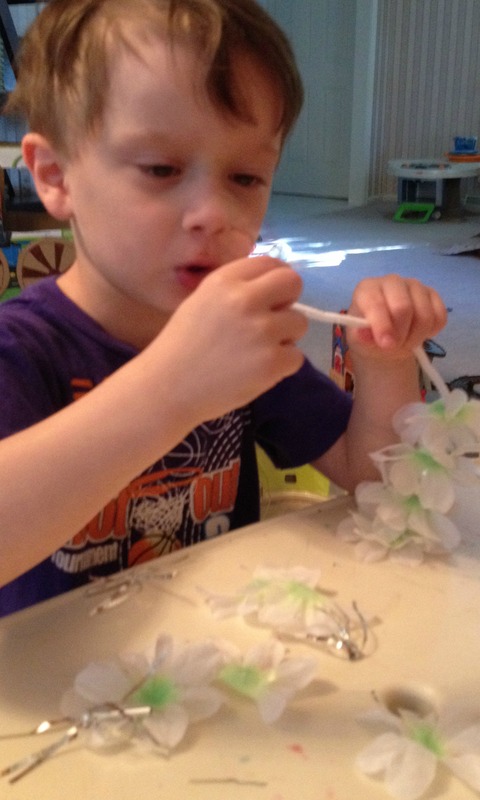 I wanted to make a lei, but decided instead that we would learn about deconstructing. So, we deconstructed a lei and tried to put it back together again. Well, the joke was on me because the wire they used was way too hard for 4-year-old hands to work with, so I had to come up with an alternate plan the next day. We used pipe cleaners because that’s what we had. He really didn’t like this activity and even with me helping him it was a struggle to finish – not that you can tell from the ‘after’ pic! 4. And, of course, no Hawaii project would be fun without making a volcano! 5. 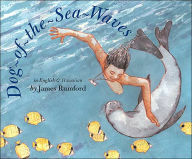 Dog-of-the-Sea-Waves by James Rumford was a great book on the settling of Hawaii. 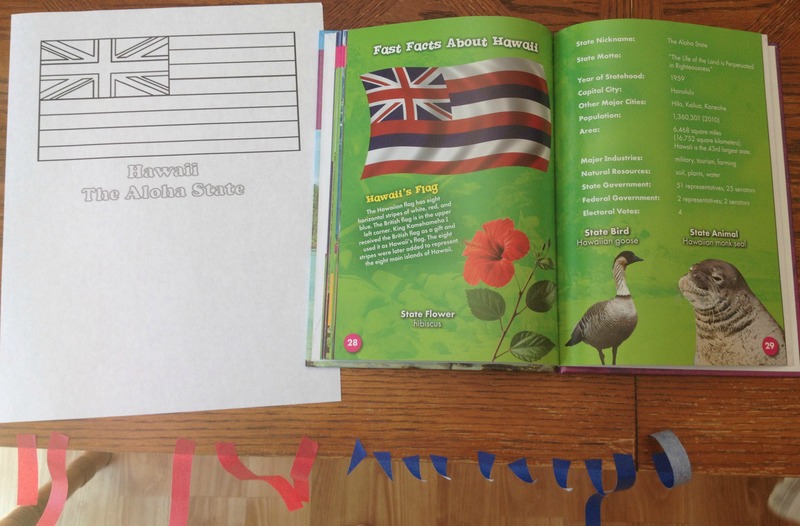 Although fictional, the story of the brothers, Hoku, Na’ale, Opua, Makani and Manu featured animals unique to Hawaii on every page and a story that could have taken place. The Polynesian brothers explored and Manu found a friend in the Monk Seal and his friend would eventually save his life. There are scary parts but everything is okay in the end. Loved this book and it’s sure to please animal lovers. 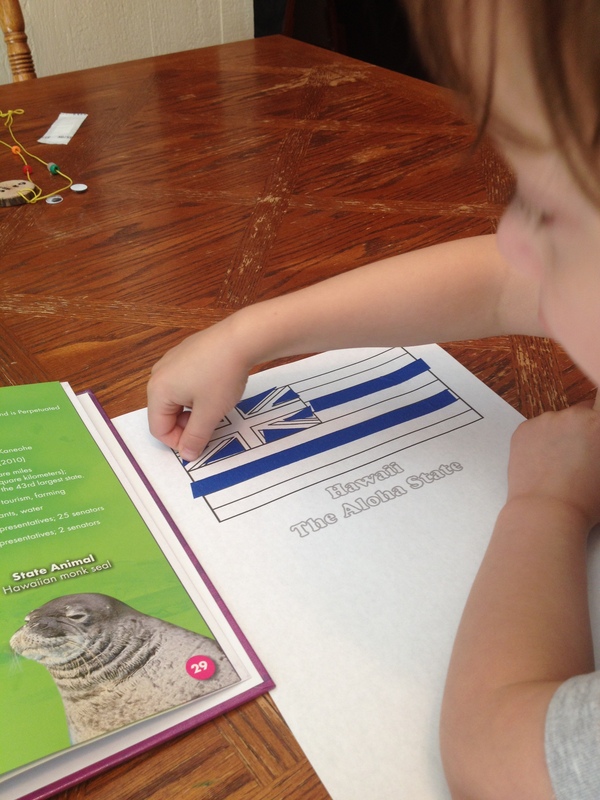 It even told the story in Hawaiin at the end, provided a glossary of all of the animals in the book and the story of the Islands. 40 pages. Our Arizona activities. Indiana activities. Michigan activities. Ohio activities. 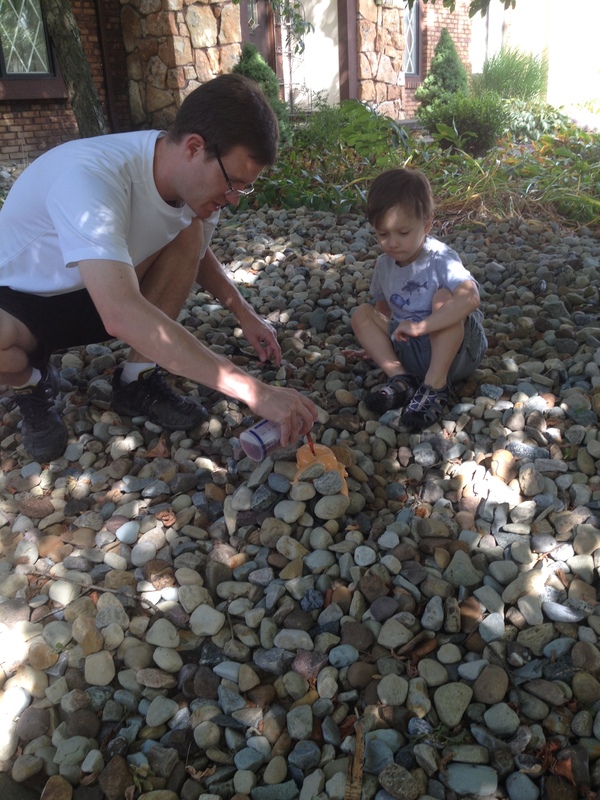 Pennsylvania activities. West Virginia activities. Now you just need to take a trip to Hawaii and take me along with you!! You are so creative with Gage! 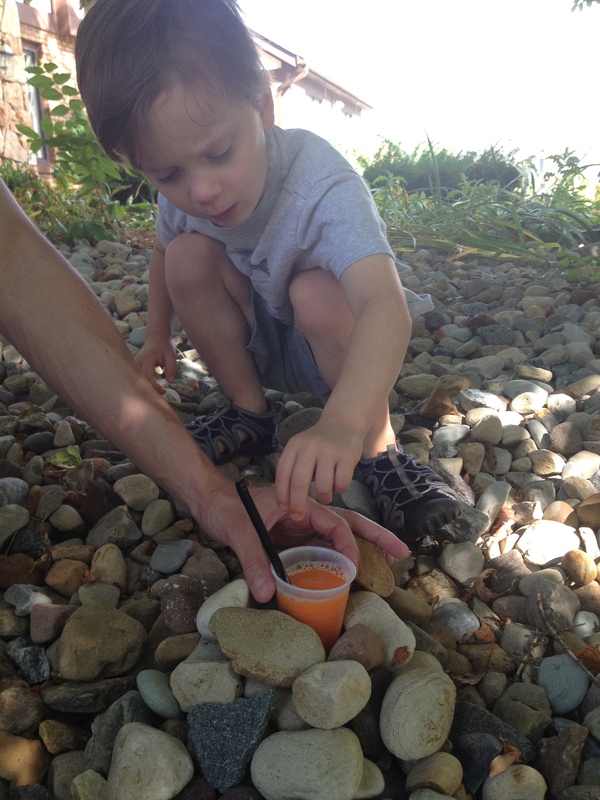 I’m so impressed with all the activities you come with for Gage… he is one lucky little boy! 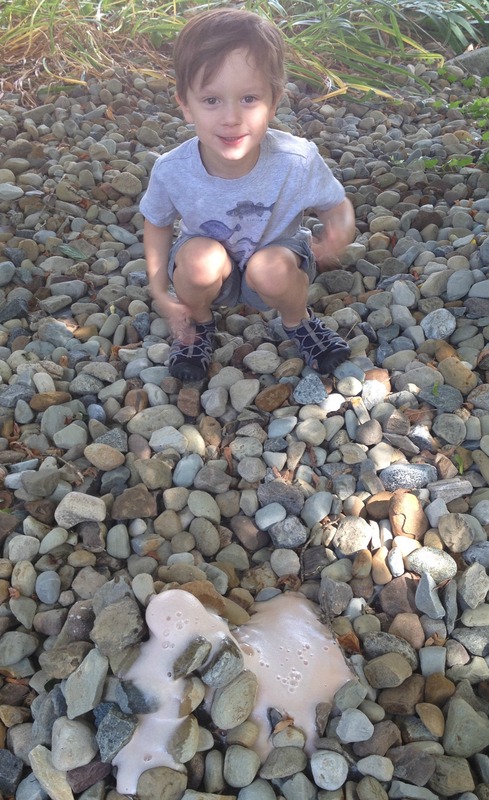 I’m so impressed with all the activities you come up with for Gage… he is one lucky little boy! Thank you. Pinterest is a life-saver (and time-sucker!). You are such a creative mama!! And I imagine you as tirelessly patient (though I know that it is easy to come off that way in our posts without hearing all the background noise). Thanks for the encouragement on the two kittens, Jason remains unconvinced but I’m holding strong. 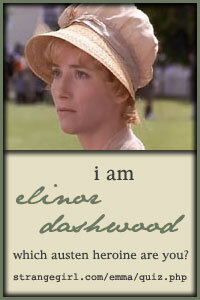 Your imagining me as patient made me smile. Gage has two patient people in his life, Dad and Grandma. I’m the pushy pusher. What an awesome week of Hawaii. Sounds like some great activities and that book looks really cute! Stacy, you do some very creative stuff with Gage. Nice.